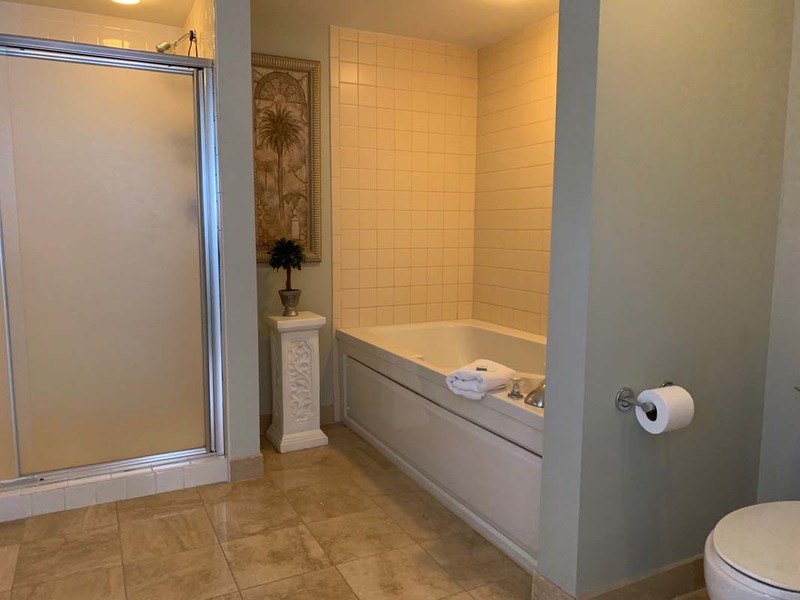 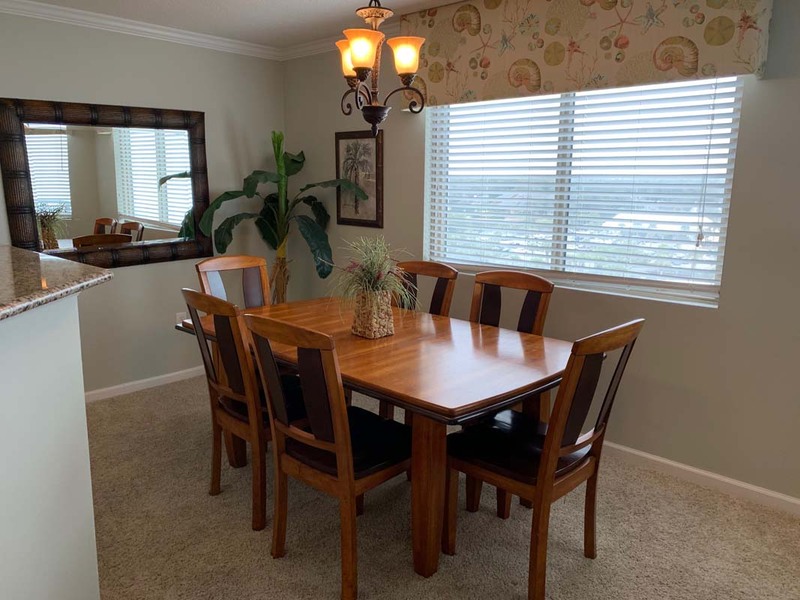 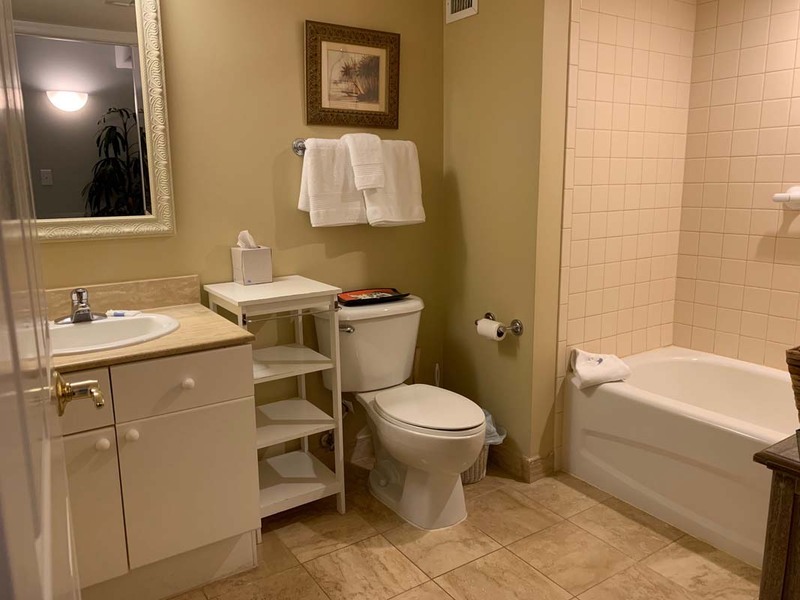 This condo features two bedrooms and two full bathrooms. 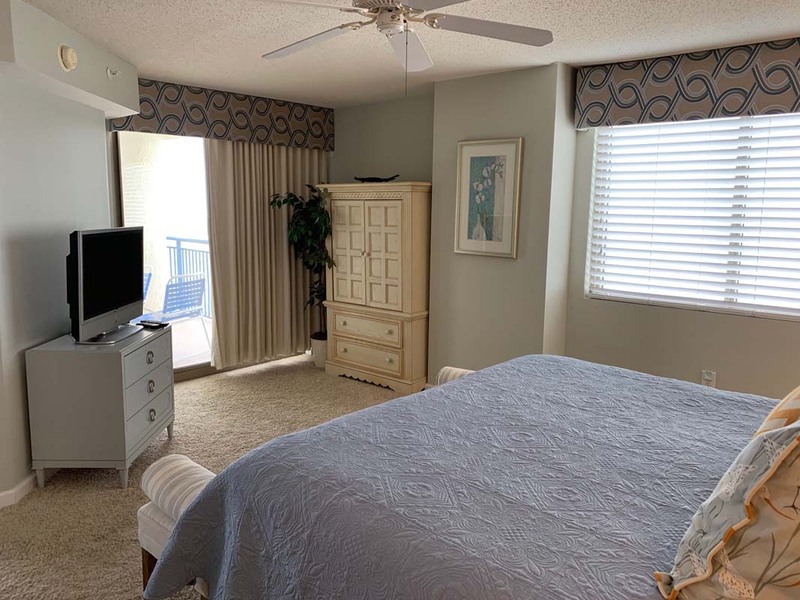 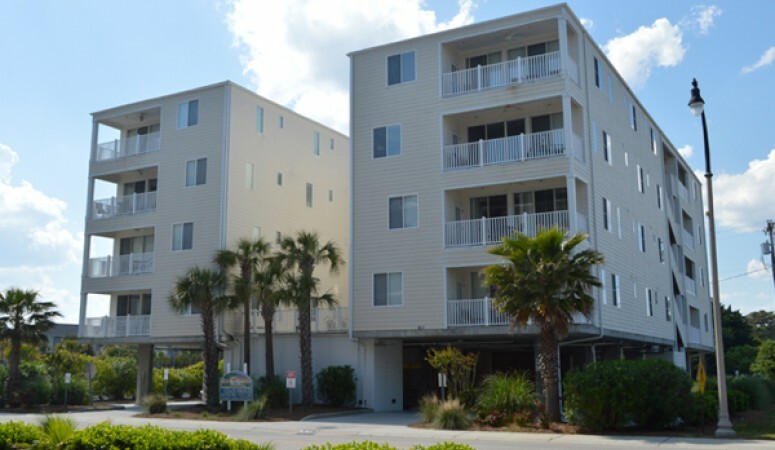 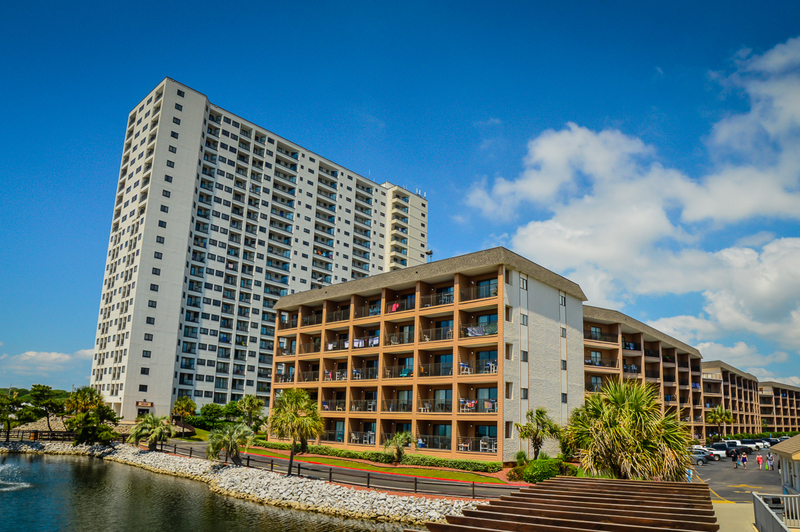 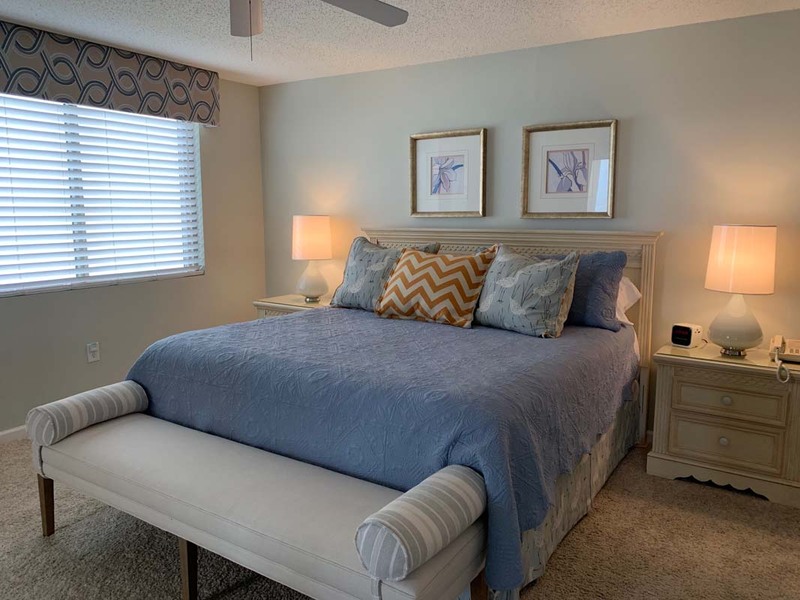 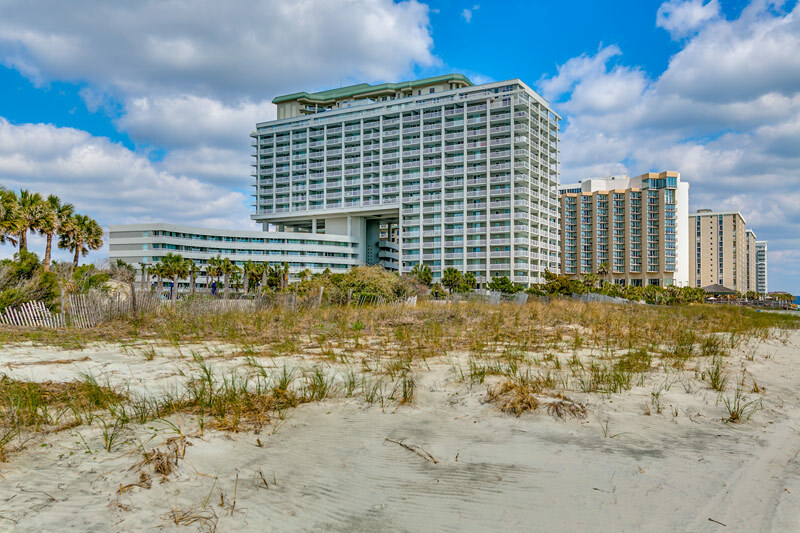 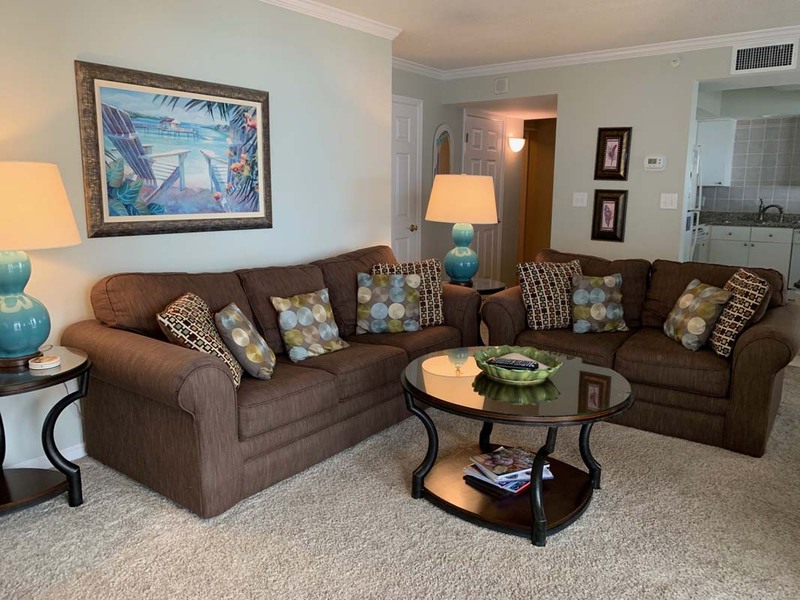 The master bedroom has a huge king bed and a private balcony overlooking the land side of Myrtle Beach. 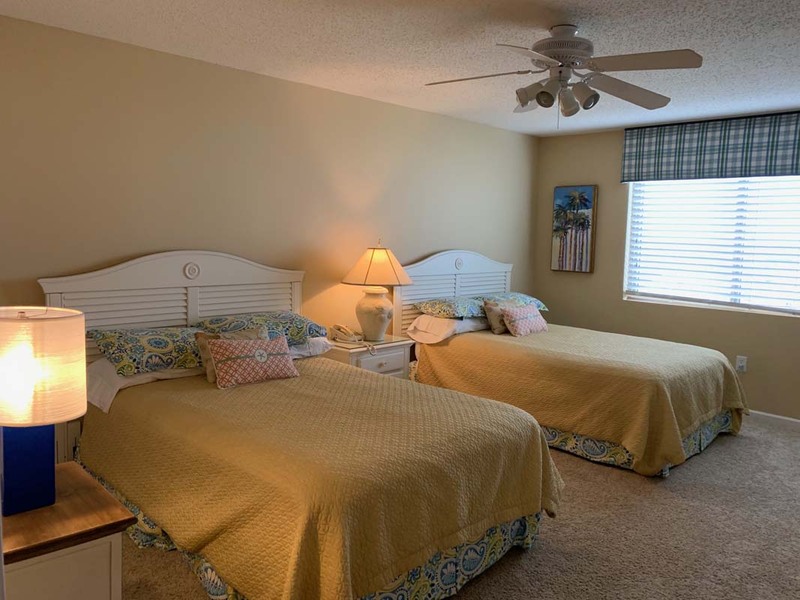 The second bedroom has two queen beds. 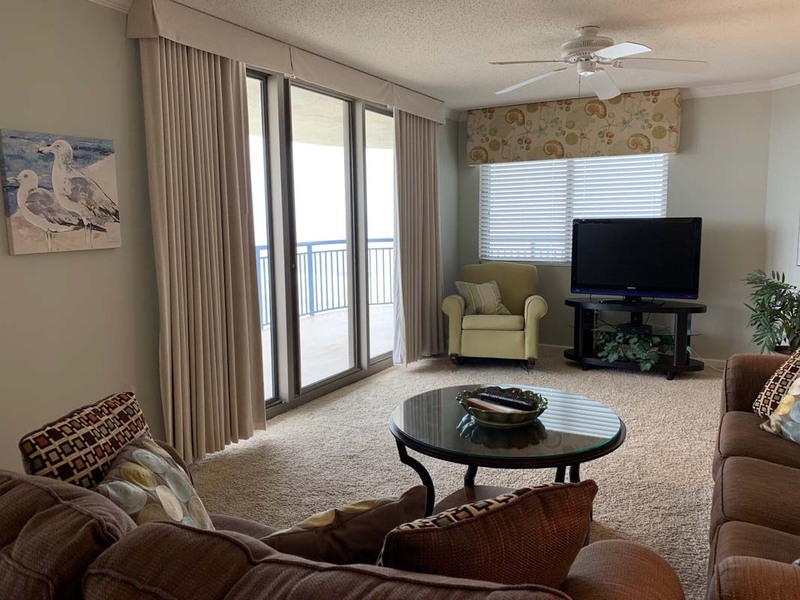 These rooms, along with the living room, feature access to a huge oceanfront balcony perfect for lounging and relaxing to the sound of crashing waves.